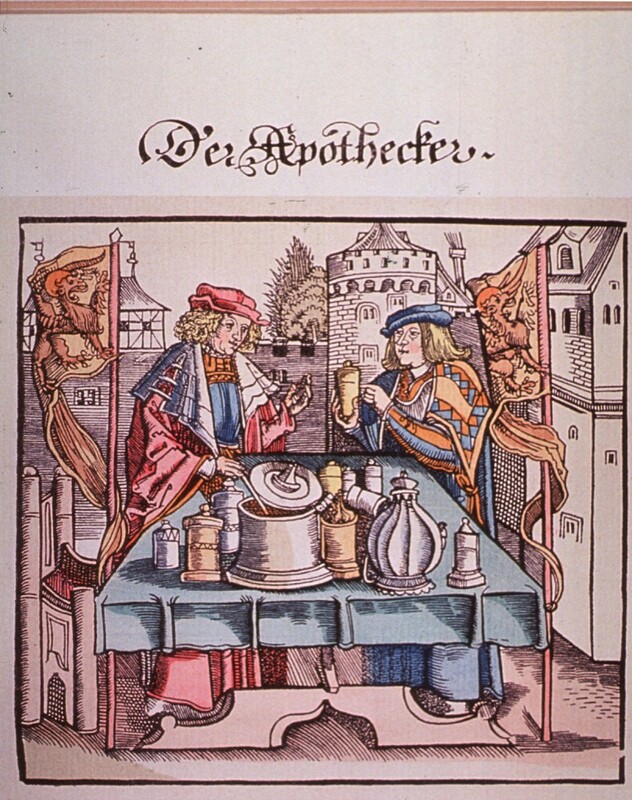 In medieval and Renaissance times, alternative therapies tended to take the form of radically new drugs or methods of preparing drugs: alchemy, for example, was touted by many Renaissance healers as a more perfect way of preparing drugs. Some reformers, such as the Swiss doctor Theophrastus Bombastus von Hohenheim, otherwise known as Paracelsus, made alchemy the centerpiece of a far-reaching critique of the medicine of the day.Three centuries before Paracelsus put forth his new way of healing, a Dominican friar by the name of Nicholas of Poland (c. 1235-c. 1316) offered what may have been the most radical and far-fetched medical reform of the Middle Ages. Nicholas’s proposal: Eat toads, snakes, lizards, and scorpions, and thou shalt be healed of all that ails thee. Nicholas was a German born in Silesia, a region in present day Poland. Not much is known about Nicholas before he entered the Dominican Order around 1250 and not long afterward moved to Montpellier to study and teach medicine. Around 1270, he returned to Silesia and entered the Dominican convent at Cracow, where, as part of the ministerial duties that attended his office, he provided medical as well as spiritual care to the people. Nicholas was a popular and charismatic healer. Not long after his return to Silesia, he became the focus of an alternative medical movement that flourished in Upper Silesia in the late-thirteenth century. 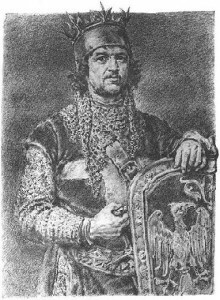 He was a favorite in the court of Leszek the Black (Lestko Nigritius), the duke of Sieradz and one of Poland’s more enlightened medieval princes. Nicholas’s methods were certainly unorthodox. Urging a return to “natural” methods of healing, he attributed extraordinary virtues to toads, scorpions, snakes, and lizards. To break a bladder stone, he recommended that the patient drink his “snake powder” in wine twice daily. To make the drug even more powerful, he added powdered toads. Best of all was a concoction made of powdered serpents, toads, and scorpions. He made pills of tried toads, which he prescribed as a remedy for weak hearts and sore eyes, and promised would make the troubled sleep. Nicholas’s favorite remedy was serpents’ flesh prepared according to detailed instructions spelled out in his treatise, Experimenta magistri Nicolai (Master Nicholas’s Experiments), a compilation of his medicaments. Nicholas recommended that kings, dukes, and noblemen eat it at every meal. But, he insisted, snake meat was good for everyone. He urged all people, “of whatever station, to eat serpents whenever it is possible to get them.” Evidently impressed by Nicholas’s doctrine, Duke Leszek ordered that serpents, lizards, and frogs be served at his court. Nicholas was no charlatan. Educated at Montpellier during a period when Scholastic medicine was in full swing, he violently rejected the medical tradition being developed there. His strange and revolting arsenal of drugs was based upon the principle that “the more filthy, abominable, and common things are, the more they participate” in the marvelous virtues that God had conferred upon all of nature. Hence, remedies made of the most common and contemptible creatures contained far greater medicinal virtues than the “precious and famous’’ drugs recommended by the physicians. Nicholas’s prescriptions were hardly inspired by folk medicine, as was often the case with proponents of alternative medicine. Instead, his ideas were shaped by his disgust over the ongoing philosophical arguments at Montpellier about the famous classical drug theriac—the principal ingredient of which was viper’s flesh carefully dissected according to a prescribed method. First described by Galen, theriac, “the royal antidote of antidotes,” was a rare and costly medicament thought to be a panacea to cure all illnesses. Compounded from sixty-four different ingredients, each supposedly corresponding to a particular part and function of the human body, theriac was designed to intricately mirror human physiology. During the 20 or so years that Nicholas spent at Montpellier, the intellectual foundations of the school’s imposing system of learned medicine were being laid. Nicholas heard—and probably participated in—the ongoing debates about how to explain the “marvelous” virtues of theriac—debates that resulted in a system so complex that it was, practically speaking, unworkable. To the scholastic physicians at Montpellier, theriac’s formidable power was a troubling anomaly that would take years of concentrated intellectual effort to explain. But to Nicholas, theriac was just snake meat. All the other ingredients that went into making the drug were as worthless as the arguments constructed to explain away the miracle that God had revealed, through him, to the people. Nicholas continued to practice his strange alternative medical system in Silesia, attracting many followers and garnering many accolades. A renowned surgeon, he composed an influential treatise on surgery, the Hübsch Chirurgia (Fine Surgery). In 1316, King Ladislaus I (the Short), who is credited with uniting the disparate regions of Poland under a single monarchy, granted Nicholas a privilege conferring upon him feudal rights over three villages in Lesser Poland. Nicholas of Poland died a rich man, proving that even in the Middle Ages, alternative medical systems could be lucrative business ventures. William Eamon and Gundolf Keil, “Plebs amat empirica: Nicholas of Poland and His Critique of the Medieval Medical Establishment,” Sudhoffs Archiv 71 (1987):180‑96. Gundolf Keil, “Nikolaus von Polen,” in Die deutsche Literatur des Mittelalters. Verfasserlexikon 6 (1987):1128-1133. Karl Sudhoff, “Antipocras, Streitschrift für mystische Heilkunde in Versen des Magisters Nikolaus von Polen, Sudhoffs Archiv 9 (1916): 31-52. 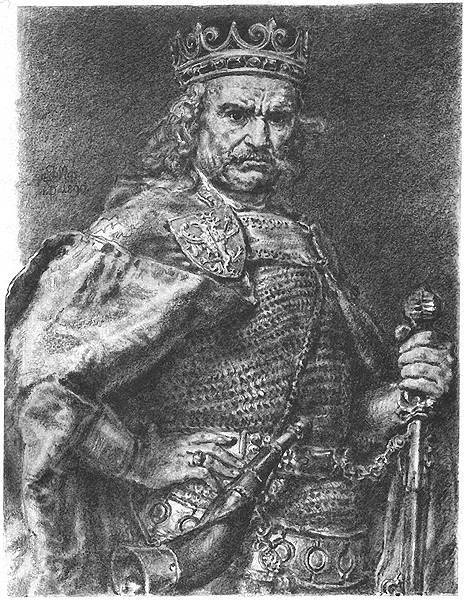 A note on the illustrations: The images of Lezcek the Black and Ladislaus the Short (or “Elbow High”) are by the 19th century Polish painter and illustrator Jan Matejko (1838-1893), who is best known for his intensely nationalistic illustrations of notable Polish political figures and military events. 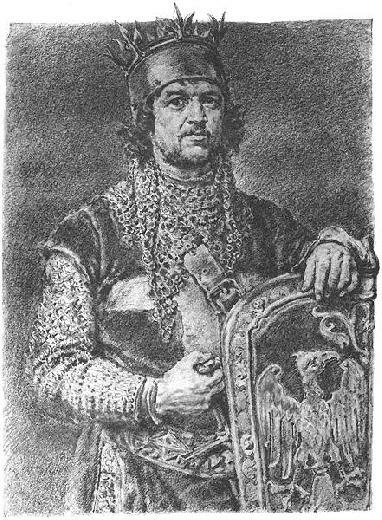 The portraits are from an album of (imaginary) portraits of medieval Polish monarchs and cultural figures. Who knew. I thought people just licked toads to get high or so I’ve read. Thanks, I enjoyed your post!